In Montreal's shrinking Chabanel garment district where businesses increasingly struggle to stay afloat, an unlikely fashion player has emerged. Fast-growing Ssense (pronouced "essence"), which stocks hundreds of luxury brands ranging from the established Alexander McQueen to up-and-coming Vetements, is headed not by a fashion professional but a computer engineer. Rami Atallah, its chief executive officer, caters to a global clientele by selling goods mostly online (he has one store in Old Montreal), while many tony rivals have been slow to embrace e-commerce. In doing so, he is set on shaking up the estimated $396-billion international luxury fashion segment, one pair of $860 sweatpants at a time. 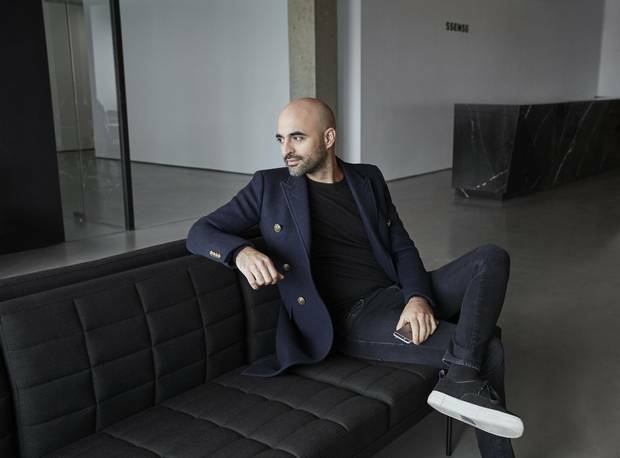 "[The luxury market] is definitely changing," says the slender Atallah, clad in black Saint Laurent jeans – a label he favours for its slim fit – and Eytys sneakers. He's sitting at a sleek marble boardroom table at Ssense's expanding head office, where large windows provide an unobstructed view of the city centre and Mont Royal in the distance. "There is a shift from pure luxury to something more experiential. There has to be a strong message, at the end of the day. It has to bring an added layer to the conversation that is happening around fashion." Ssense's customers are big spenders like marketing executives, musicians and athletes who don't think twice about dropping an average of $900 on a piece of clothing (its priciest sale to date was a $30,000 black limited-edition Rolex). Though its roots are in men's wear, Atallah is predicting that women's apparel will soon dominate. Less affluent shoppers buy single items – a $375 Marc Jacobs sailor blouse, perhaps – and mix it up with lower-priced staples, he says. Only 18 per cent of the clientele is Canadian, his figures show. Almost half live in the United States and 10 per cent in China (others are in places as far-flung as South Korea, Australia, Hong Kong and Japan). And almost 80 per cent are coveted millennials, between 18 and 34. Contrary to the merchandising strategy of many other luxe outlets, the product selection at Ssense prioritizes statement pieces over everyday basics. Recent arrivals include looks by (from left) Sacai, Yeezy, Roksanda and Vetements. At just 33, Atallah shares a demographic with his customer. He got the e-commerce itch as an engineering student in the early 2000s when he bought a $200 pair of Diesel jeans and sold them on Ebay. They fetched $350, so he bought more posh denim and made $15,000 in a month. He was so enamoured with the process that he decided to build an e-commerce platform as his engineering thesis. His brothers, Firas (who now serves as chief financial officer) and Bassel (chief operating officer) joined him in launching the business. His family, who immigrated from Syria when Rami was 15, invested tens of thousands of dollars in the company. Founded in 2003, Ssense stands out not only as a Canadian player in the luxury e-commerce field, but also for its fashion-forward merchandise mix. Spring's women's-wear selection includes Sacai's contemporary lace pieces, Yeezy's moth-eaten knits and tailored streetwear by Acne Studios. Ssense's influence on suppliers is such that it can work directly with a label like Vetements – whose following includes Rihanna and Kanye West and whose creative head, Demna Gvasalia, recently took the reins at Balenciaga – to develop exclusive capsule lines. "Ssense are great partners and our most important account as of today," says Vetements's CEO Guram Gvasalia. The website's edgy, anti-fashion tone sets it apart in a competitive marketplace where retailers struggle to make a profit while vying with big brands that increasingly sell from their own sites. 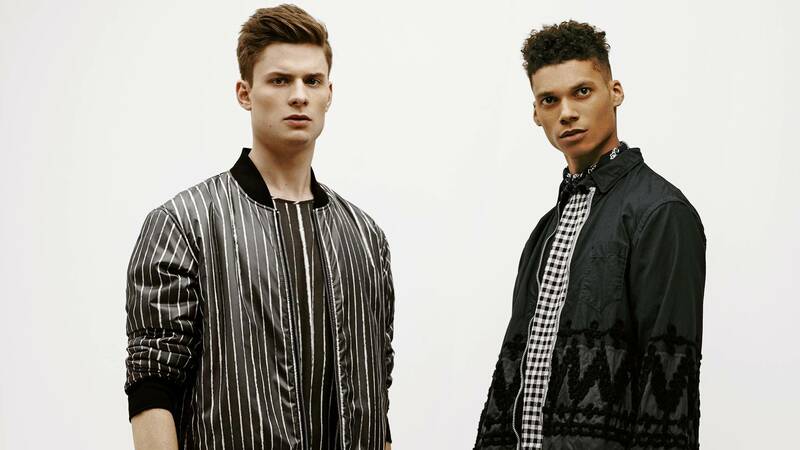 Ssense started with a focus on men’s wear and still sells a good chunk of its inventory to fashion-forward guys. 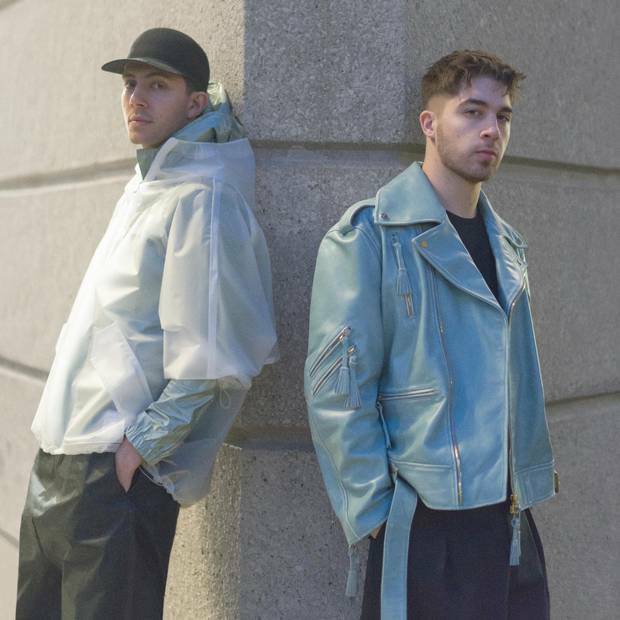 Its new editorial content features Majid Jordan – the producing and recording duo signed to Drake’s OVO Sound label – photographed at the University of Toronto wearing minimal sportswear by labels such as Miharayasuhiro, Calvin Klein, Lanvin and Reebok Classics. "It's a tough business," says Darrell Kopke, founder of business accelerator Institute B and former CEO of Kit and Ace, a high-end casual-wear chain. "Young people who are willing to buy a brand online that they haven't previously experienced are not into luxury fashion." The online market is dominated by Net-a-Porter, which was bought late last year by e-commerce titan Yoox. But even Net-a-Porter had been in the red. Other consolidation has hit the industry in a bid to boost the bottom line. In January, Hudson's Bay Co. snapped up Gilt.com for $250-million (U.S.), a far cry from the $1-billion valuation it received following a 2011 round of funding, while a few years earlier, Nordstrom swallowed HauteLook.com. Fashion e-tailer Nasty Gal recently cut about 10 per cent of its staff. "There will continue to be consolidation among all these players and some will go under," predicts Milton Pedraza, CEO of the Luxury Institute in New York. Atallah says privately owned Ssense has enjoyed 82-per-cent compound annual sales growth since its inception, with a projected 10 million monthly visitors by the end of 2016. Industry estimates suggest its total annual sales are in the nine figures. What's more, Ssense turns a profit, pouring only the money it makes back into the business rather than investing more by raising venture-capital or other outside funds, as rivals do, he says. With more than 200 full-time employees today (more than double the number it had two years ago), the company plans to expand to more than 300 this year. Atallah used his computer engineering background to build the e-commerce platform. What is key for Atallah is collecting data on shoppers who come to his site, tracking their habits and responding appropriately. For instance, the faster Ssense ships an order, the more likely customers are to shop again, he says (the site offers free next-day delivery in Canada). He's also found that those who read the site's extensive editorial content are more likely to eventually make a purchase. 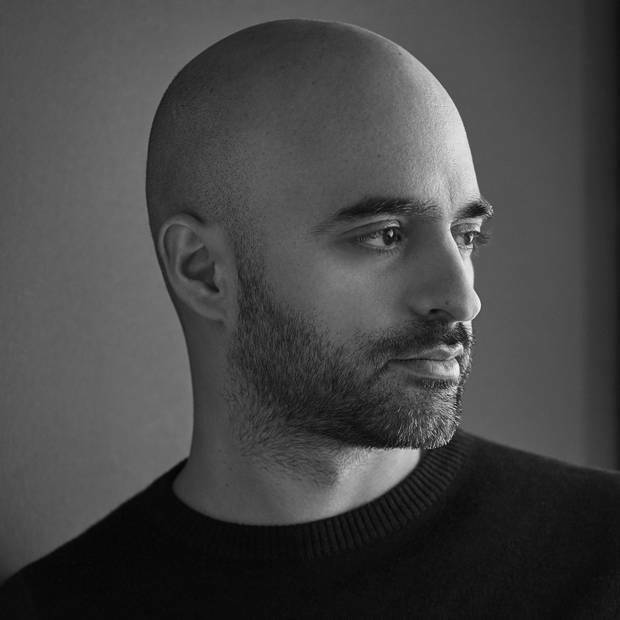 Atallah recently hired Joerg Koch, a Berlin-based fashion guru and founder of the indie magazine 032c as the website's first editor-in-chief. Koch's mandate is to focus not on touting products so much as ideas to reach the sensibilities of Ssense's young, well-heeled customer – some of the stories are provocative. In a profile on Ian Connor, a member of Kanye West's creative team and, purportedly, the pop culture icon's style muse, the 22-year-old liberally uses the F-word and other potentially offensive language as he holds forth about the power of social media and creativity, while a photo shows him pensively smoking. Kopke gives Ssense high marks for taking risks with its content. "That is the attention-grabbing headline you need to cultivate a tribe of followers," he says. "It has to be divisive." Janet Bannister, a venture capitalist who was the CEO of online fashion startup The Coveteur, says Ssense is being bold by combining content and e-commerce. Many e-commerce players have tested marrying the two but abandoned it because generating editorial content is relatively expensive, she says. The content "does not necessarily result in incremental e-commerce transactions unless it is very tightly integrated with e-commerce." "It's about earning the trust of the readers so they don't perceive you as an advertisement but as media," counters Atallah. Ssense's data shows that consumers who click through editorial content spend 7 per cent more on their orders and return to the site 300 per cent more often than those who don't. Perhaps, surprisingly, Ssense's growth strategy also involves upping the cachet of its physical stores. Currently, it operates a single flagship in Old Montreal (hanging on the rack during a recent visit: a $670 men's camouflage T-shirt by Valentino). By next year, Ssense will move to a nearby six-storey building that's eight times larger than its current shop. It has hired award-winning, London– based architect David Chipperfield to design the new outlet. More flagships in key international markets will follow. Says Atallah: "We have really big ambitions." Editor's note: An earlier digital version of this story incorrectly stated the projected monthly visitors for Ssense by the end of 2016. This version has been corrected.